2017 really took me for a ride that I was not ready for and I am still dealing with! In January of 2017 I received a phone call from my sister that my father was really ill. I don’t think I can explain in words the amount of emotions that came about when I received this call. Emotions mainly of anger towards myself because I had 33 years to get close to my dad and I chose to be angry because I felt he never wanted anything to do with me. My SO and I left that weekend and drove 10 hours (because of the weather) each way to see him. When we got to my dad he was waiting for us! We spent that weekend with him and it was the last time I saw my dad. In April my SO decided to take a job in Illinois, in the beginning of May he moved to IL and we decided I would finish out June here in Cali and make move with him. On May 23, 2017 my dad passed away just 7 days before his 60th birthday. Again I was mad (TBH still mad at myself) I didn’t make time to go down to visit him just one more time before he passed. We actually buried him on his 60th birthday! Maybe one day I will go into my emotions with more detail but I still haven’t come to terms with it. On June 30th, I left this company I thought would be around for a very long time.. and I truly enjoyed working at. I met so many great friends and learned many skills. I was heart broken to make this decision but since the new company wasn’t going to extend my position I knew it was better to let go of this chapter in my life. In July we packed up our apartment and sent most of our belongings to IL. August was bittersweet.. cousin was married and had a beautiful wedding.. I planned a birthday party for August birthdays like my mom and goddaughter since I was going to miss them first time ever.. but my family surprised me with a going away party. Shortly after I made the move to IL. Leaving behind everyone and everything I have ever known.. easy to say my anxiety and depression have been at an all time high since (again I will save this for another post). From August till now I have been trying to get used to life in a new place without the convenience of having my family and friends physically with me. I have slowly been finding my confidence in learning the way to Target or Walmart or the grocery store. Fortunately I have been able to make some visits home and spend time with my family. Also I am very lucky to have had visitors here. The one thing I wish is that I knew of more things to show my guests.. because I am seeing this beautiful place for the first time myself. My cousins came in October! Our beautiful goddaughter came for Thanksgiving! And my cousin came out for a weekend to drop my mom off for the month of December and the rest of the holidays! And now here we are December 31st and it has been one eventful year! A year of events that I don’t think I could have planned for! I hope tonight is amazing for you all and please don’t drink and drive or let anyone you know drink or drive! Also count your blessings life can change in an instant.. Tomorrow lets welcome 2018 with open arms.. I will post my hopes! Again Happy New Year Eve.. May all your dreams come true in 2018! This is the beginning of greatness!! I would like to start a new series all about bargain shopping! I am a bargain shopper by blood from my mama… and I can clearance hunt with the best of them aka my mom and aunts! My family loves to shop… we used to and if we can.. we will still eat our meals on turkey-day all while planning our plan of attack on the sales that are about to unleash! Maybe the love of shopping for most of us is why I truly believe in retail therapy! LOL! 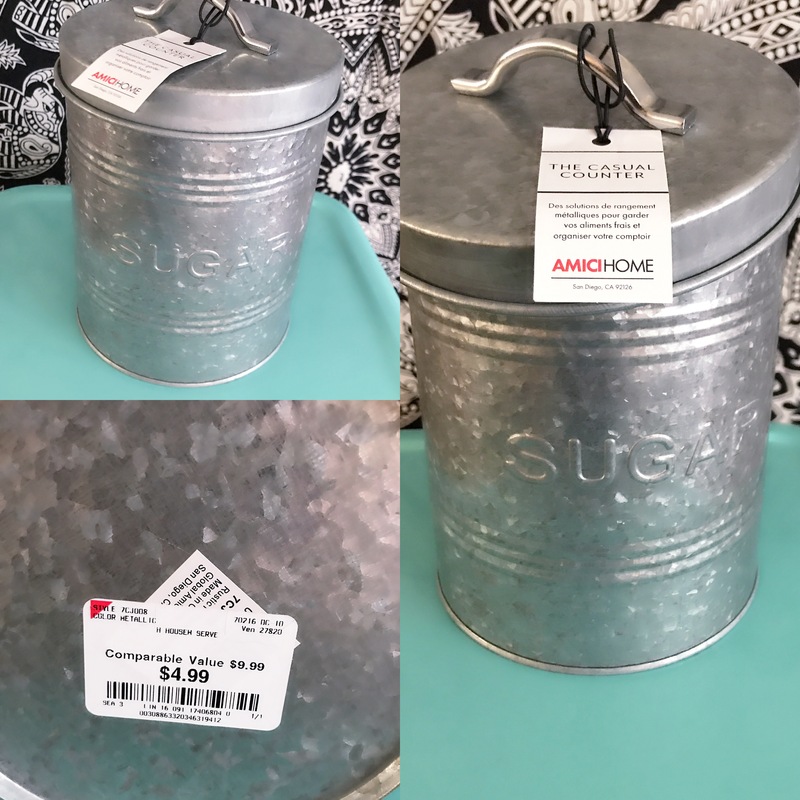 This series will be called 5 items and it is really just 5 bargain items from different stores… sometimes I will give myself a challenge when buying these items or like today just great items I found at a really good price! Today’s 5 items are from one of my favorite stores and that is Burlington Coat Factory (BFC), this store is a great place to buy clothing, fashion accessories, shoes, beauty, home goods and so much more. I almost found a bit of it all… lol!! The first item I found was a men’s denim button up that I thought would be cute as a light throw for those days where the sun is out like summer but there is also that lovely fall breeze! 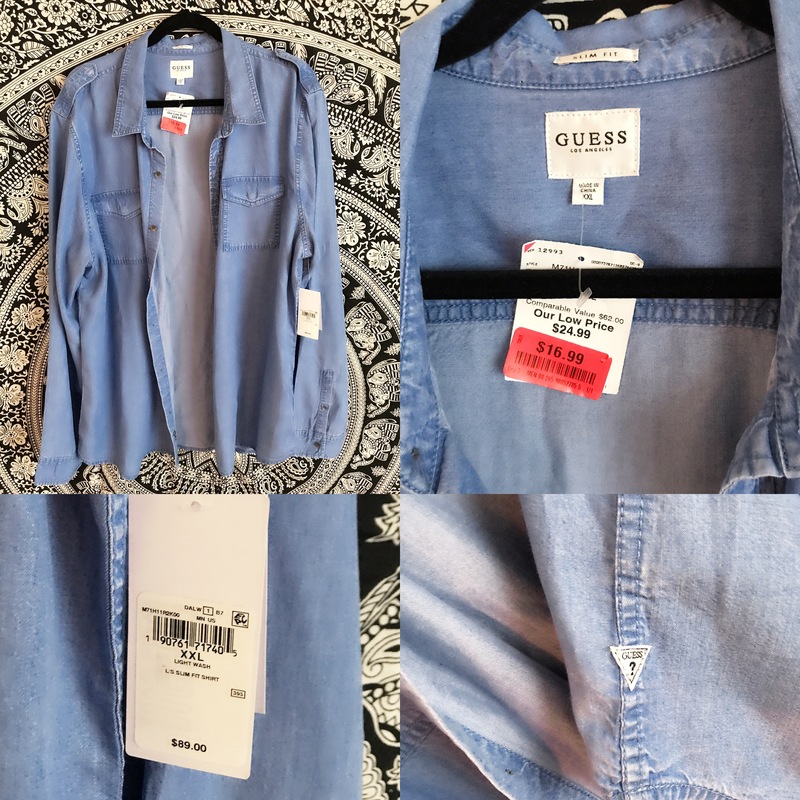 This is a Guess shirt that originally retailed for 89 bucks but I was able to purchase it on clearance for just $17! 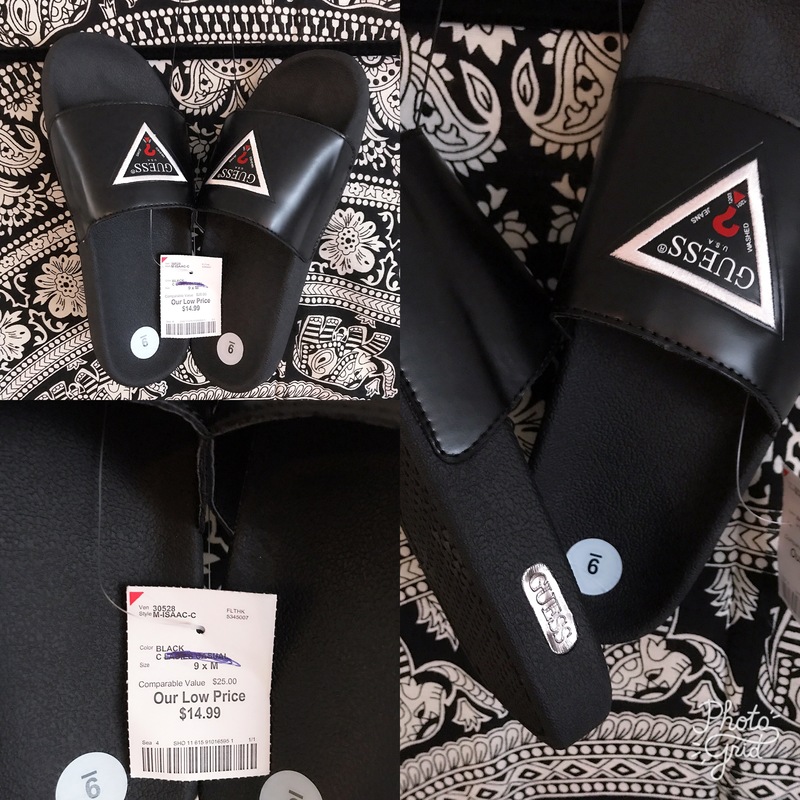 The second item I found also is an item made by Guess… but these are slides and unless you live under a rock then you know slides took over this year like never before! I was looking at the Guess slides online and when I saw them in BFC I jumped on them! They retail for 25 bucks and I bought them for $15… not as big as a deal as the first item but saving is saving! 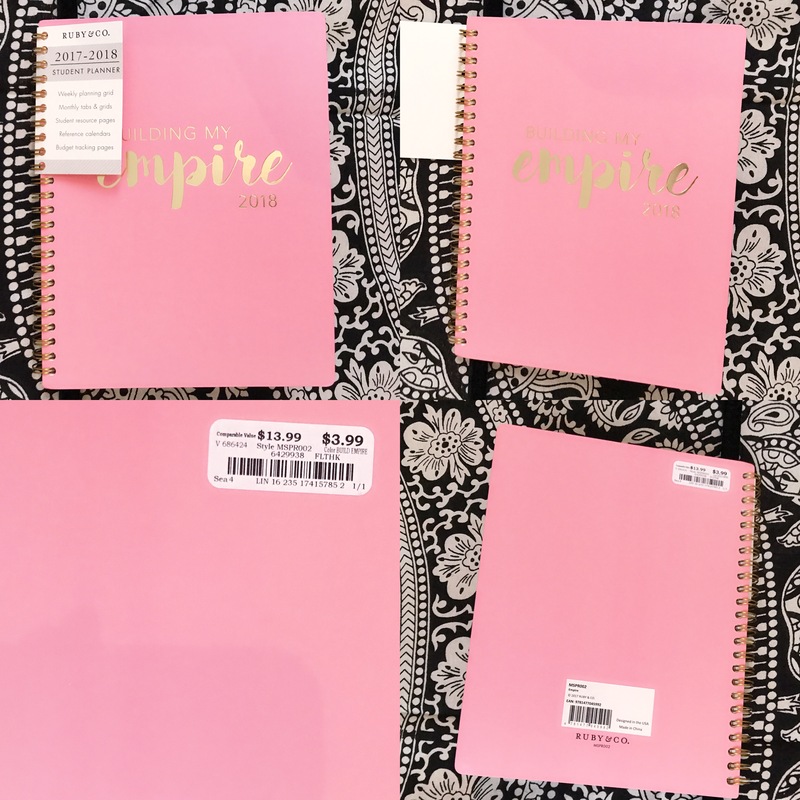 The third item of course is a notebook because stationary, books, and journals is always a stop at every store… this notebook is cute, pink, and motivational! The notebook retails for 14 bucks and I bought it for $4! The fourth item I found was not something I needed but something I wanted for the new place. I saw this and thought this would be so cute in my dining area with the rest of my farmhousey items! The canister retails for 10 bucks and I bought it for $5! The last item was not actually an item for me but a gift for Lani… she turned 13 recently… becoming a teenage girl, getting into makeup, becoming a young woman and I knew she would need to find her scent! 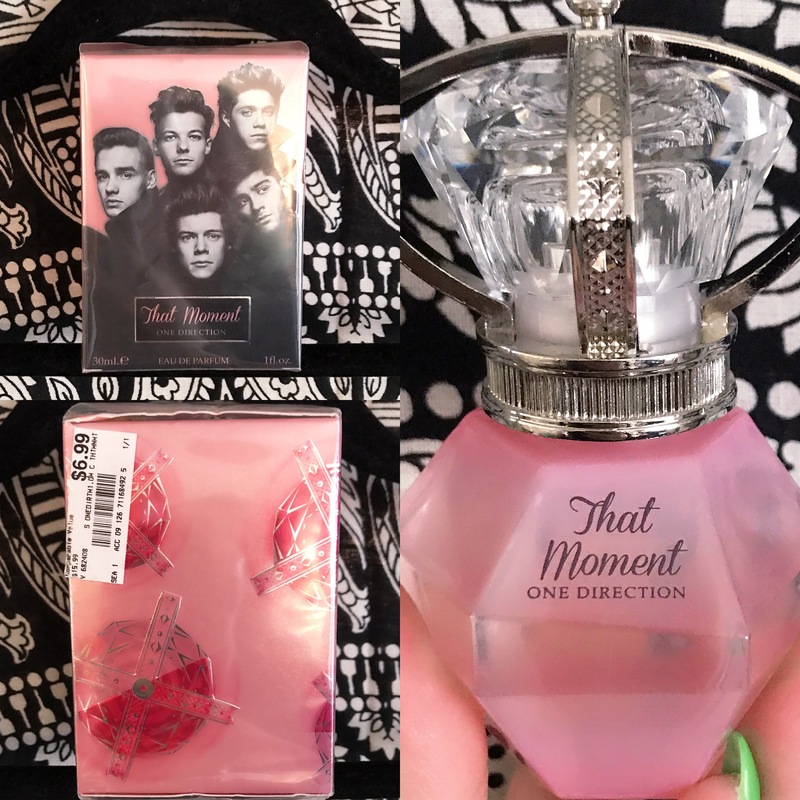 So I picked up a 1D perfume that smells divine and the bottle is so precious! If I can find another I will add one to my collection. This perfume retails for 16 bucks and I bought it for $7. I will take that 97 bucks any day… this is why I love the being a Deal Hunter! I hope you enjoyed this new series.. I look forward to the future of this series of course… it’s all about shopping!! I am excited to go for other stores and challenges. The challenges can be a budget or a look alike outfit from a magazine.. I am going to try and be creative with the challenges! If you have any challenge ideas or stores you want to see me try.. Just let me know! It’s that time of the year again…. MY BIRTHDAY!!!! That means… this is my annual Birthday Wish List! Unfortunately in this day an age disclaimers are needed to hopefully avoid one of the internet trolls lol..
*DISCLAIMER* Do not read much into my list that I post it is basically my if I could have anything what would that look like. I am not one who makes a list and gets everything on it or even anything on it as gifts. I normally buy myself things on my wish list that I really want! I do not expect gifts from anyone just love and cake haha.. Also I want to know what items would be on your wish list?? All I really want for my bday is.. God’s blessings, good vibes, great food, and a functioning world that allows me to grow old with my loved ones!! Fashion: I love clothing, shoes, and all things fashion. 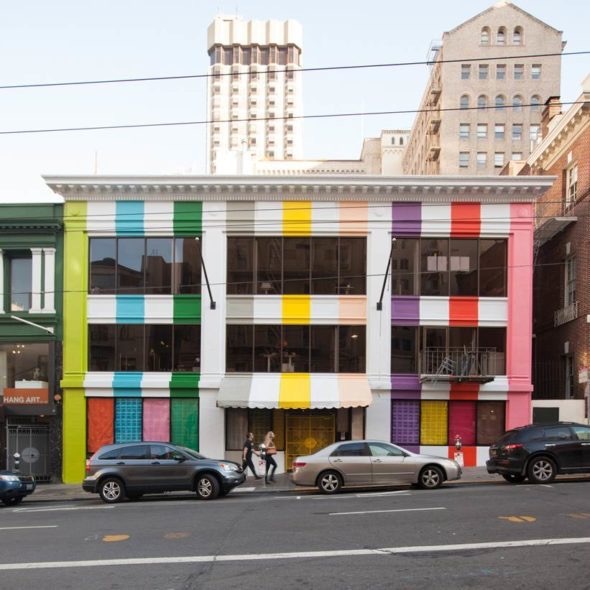 (I dream of giant two level walk in closet) I shop year round and would consider myself somewhat of a pro at shopping. I do not worry about what everyone else wears or thinks is in trend.. I simply just buy what I like and what makes me feel great! Adidas EQT Support ADV in Lavender Monochrome $110 I have wanted these for a little while now and just think they are the most adorable sneakers ever.. I know pastel colors are technically spring colors but I love wearing what others think are “seasonal” colors all year round! Vans Mono Canvas Old Skool in Skyway (light blue) $55 I have always wanted a pair of these but never wanted to buy the basic colors and now these have arrived in my sight. Rue 21 Plus Camo 3pc Sweatsuit $57 (for all three)- yes I know these may be lounge wear or look like PJ’s but they look amazing! 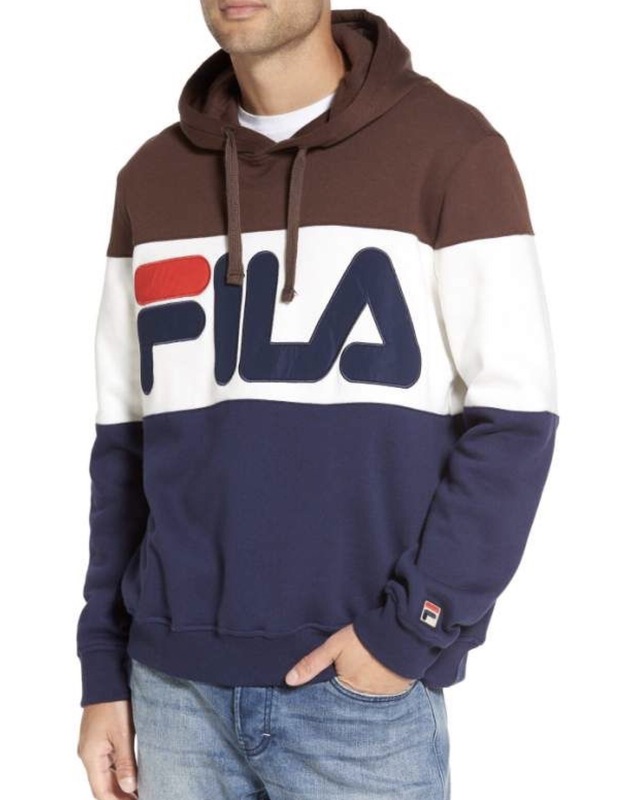 Fila Trayton Hoodie $68– I have these Fila Grant Hill’s that I wanted when I was in 8th grade and I bought them not long ago but now all I need is a hoodie to wear them with. The thing I love about this one is the brown with the other colors because I can pair with brown leggings! Velour Tracksuit $35 I know everyone had the Juicy Couture velour track suits a billion years ago now but I never had one! I think these are so cute and being cute and exercisy is amazing.. basically 60% of my wardrobe is cute as a button and athletic! Tech- I feel I am always in a constant need to upgrade my tech game in order to better my blogging and YouTube work (especially if I want to make it a full time career)! Smart Watch- I am listing 3 different ones only because there are different brands and styles out here. I want a watch that will track my steps, calendar reminders, allows me to text, and can answer/make phone calls. Not to mention I always wanted to be a Power Ranger! 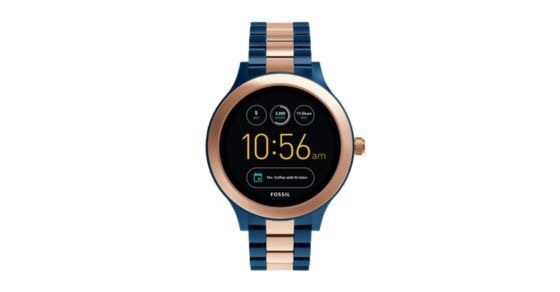 Fossil Gen 3 Smartwatch $275 I love the two tone of the rose gold and navy.. it just looks classic! Michael Kors Bradshaw $350 I think this is the boujee one of the bunch… the most expensive for sure! 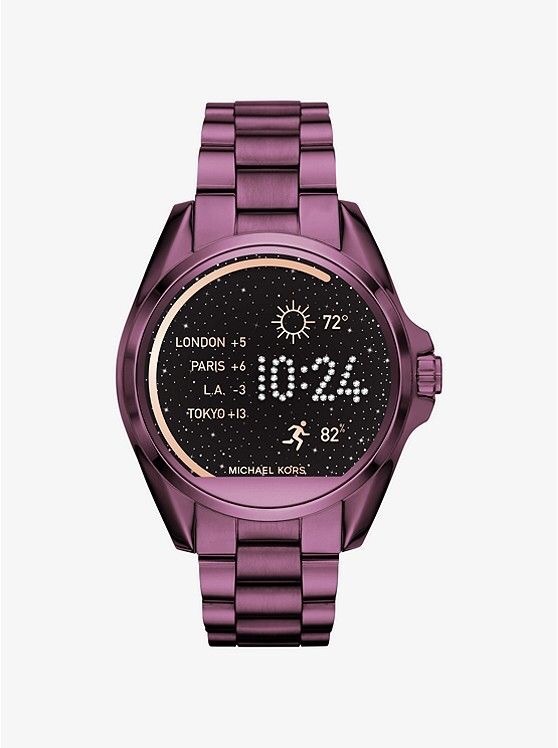 But it looks like a regular watch face so kind of a disguise however it’s a touchscreen and it’s eggplant colored metal! 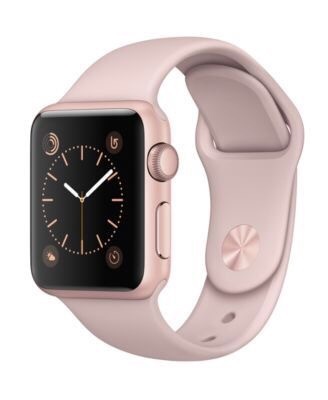 Apple Watch Series 1 $269 This is the most common smart watch you see on everyone’s wrist. It’s like the PSL of smart watches.. I am okay with being basic and having an Apple Watch as long as it looks semi girly like this one lol! 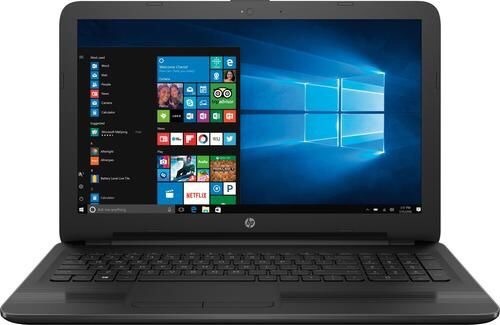 Laptop- I need a common but specific laptop.. I found this one.. I could go for the Intel Core i7 with more memory and bigger hard drive but this is the basics of what I need to better edit my videos! 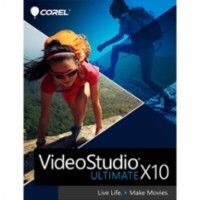 Film Editing Software- VideoStudio Ultimate X10 for Windows $100 I could use a different one as long as it’s compatible with the laptop above. Beauty- who would I be if I didn’t include beauty on a wish list.. I love reviewing beauty products.. So I kept it easy and picked my 4 top items from my Sephora “LOVES” list. And a KC product! 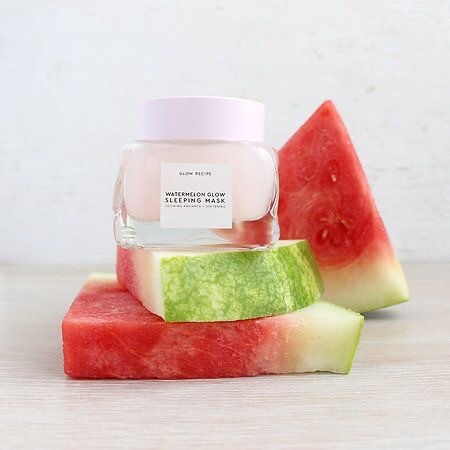 Glow Recipe Watermelon Glow Sleeping Mask $45 Doesn’t this just sound amazing and looks divine! I want watermelon all over my face! 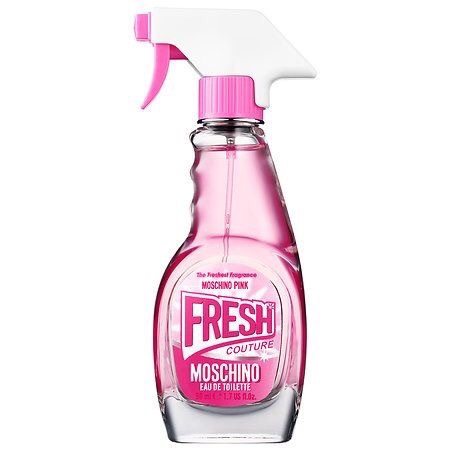 Moschino Pink Fresh Couture Perfume 1.0 oz $45 I have wanted the original windex perfume for the bottle but knew I wouldn’t like the notes.. but they released this one and it’s the bottle with my scents and color!!! 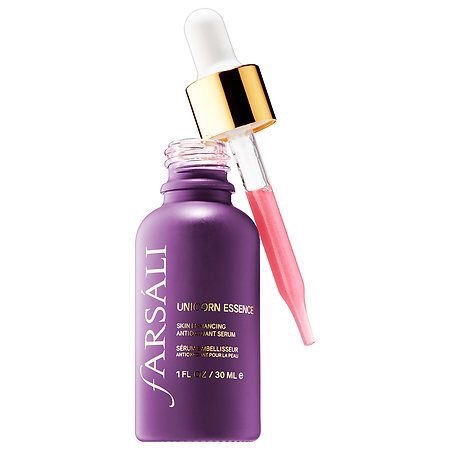 Farsali Unicorn Essence Serum $54 I have wanted to try these skin enhancement drops since they were released but was always concerned with oiliness.. however I heard these are quite nice and not oily! 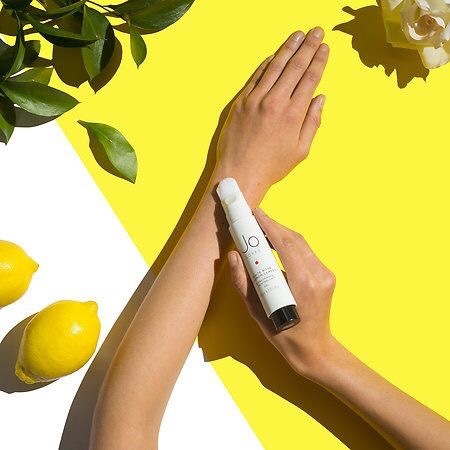 Jo LOVES White Rose & Lemon Leaves Fragrance Paintbrush Gel $55 I have always wanted to try a Jo Malone fragrance and now this will give me that opportunity and with a cool bonus aspect. I love shopping for a cause! The Kylie Cosmetic item I want is the lip kit in the color “Smile” and that is because 100% of the proceeds go to SmileTrain which is an amazing foundation that treats untreated cleft lips. 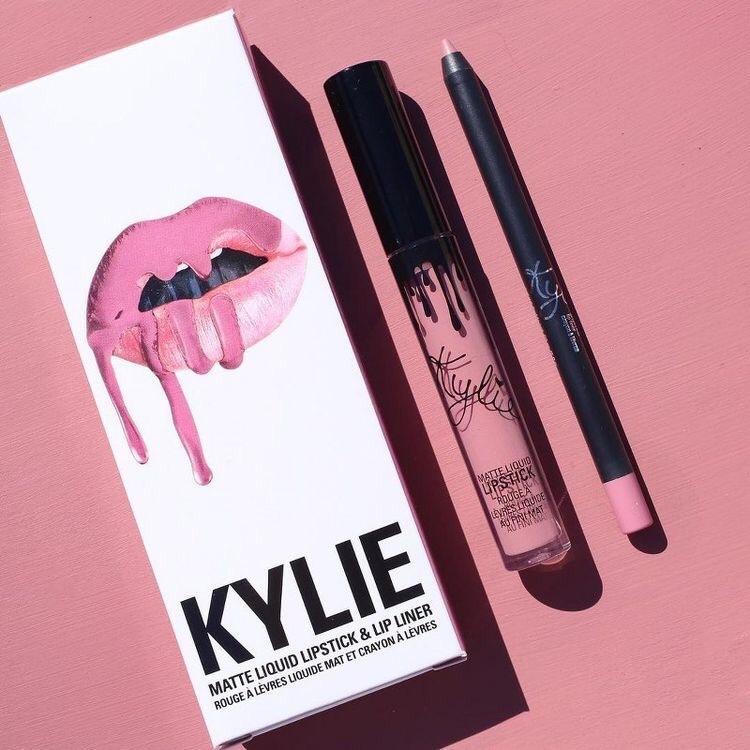 This color is no longer available but if Kylie Jenner happens to read my blog lol… giiirrlll bring that color back I am sure it will sell out immediately and raise more money for that amazing foundation who blesses children and parents all around the world. Home- Firstly I just moved so of course there are things I want but also I am working hard on creating an ambiance for us to live comfortably and work from here productively as well! 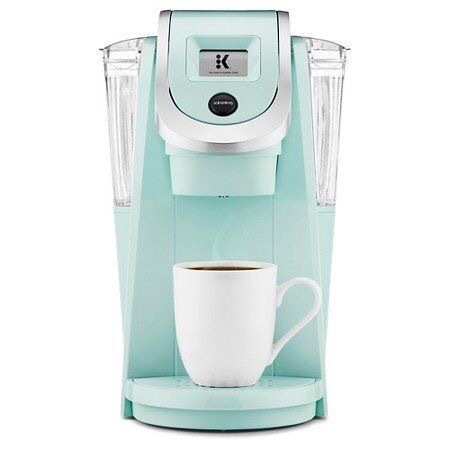 Keurig 2.0 $120 I loved having my Keurig prior it is so convenient for folks who like drastically different coffee flavors! And this one is not only in my favorite color but one step up from the basic one! Wall Shelves Set of 4 $25 I want to add a little bit of storage and cuteness over our writing desk! I think white is needed to tie in more if the color combo for the guest room! 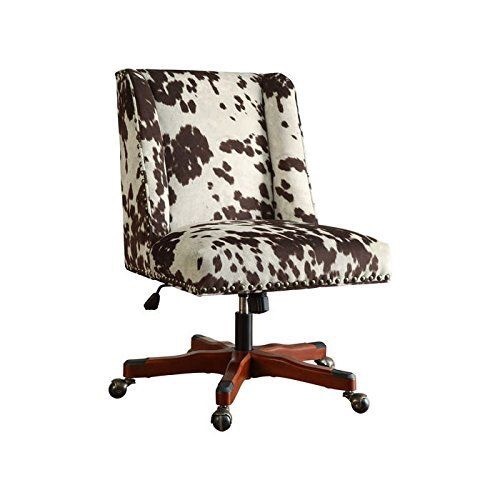 Upholstered Office Chair $170 I picked this one because it’s brown and white and goes with the color scheme of the room but technically we could do any color that goes with brown and white! PS I love animal print and cow print is no different! 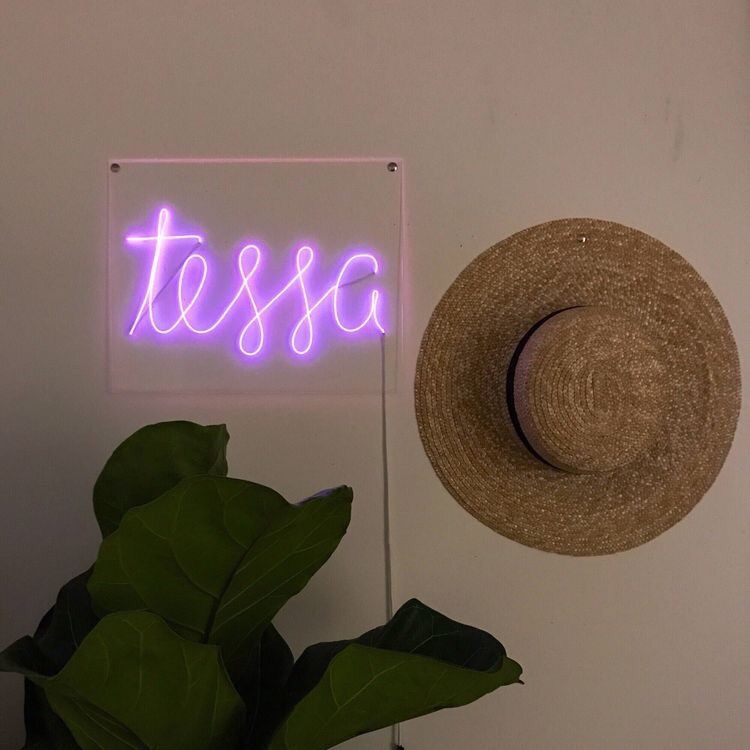 Neon Lights $100 I just want to see my name in lights and at the same time I think it would add something special to the background of my videos. I would want it to say ToriaLouise so I may need 2! 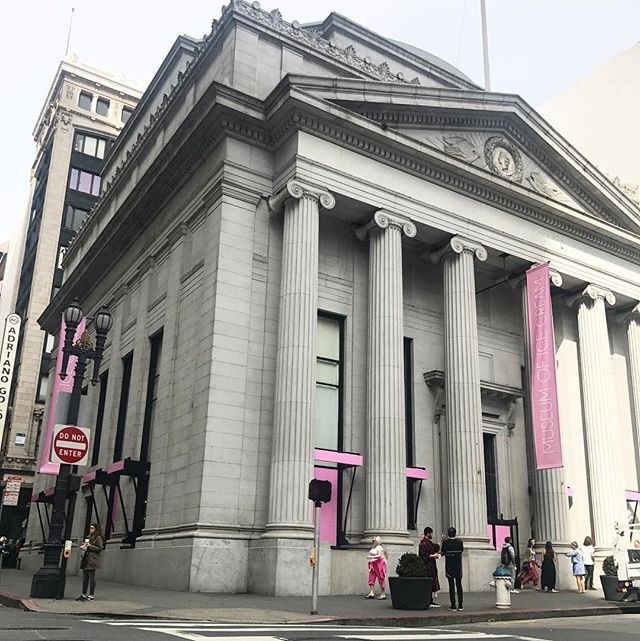 MOIC SF– this is the museum of ice cream that took over LA and is now opening in SF and I am happy to say that we will be attending so stay tuned for pics! 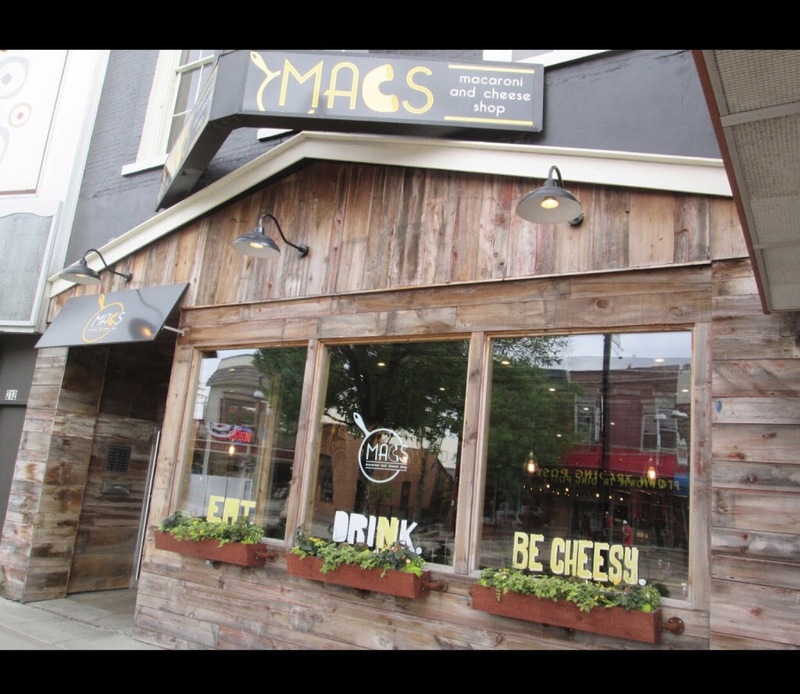 Mac N Cheese in Wisconsin.. just ask yourself doesn’t it sound amazing to have mac n cheese in the home of cheese heads… they even have this delicious place called MACS and it’s a mac n cheese shop! 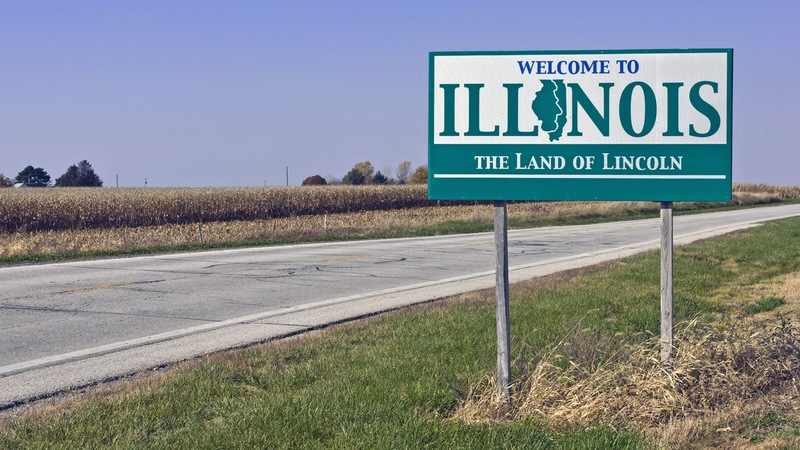 Have visitors here in IL.. I want to show people what I have seen and maybe find something new with them!! Like I said these are gifts I do not expect to receive in anyway from anyone. Just seeing or hearing “Happy Birthday” to me or reading beautiful comments is what I appreciate so very much! Fall is here! Now that I have moved from California to Illinois where seasons are a real thing.. My fall wardrobe needs to be on point. I am used to just trying to be cute (not warm) because in the Bay Area we have cloudy days but never cold enough to wear a parka and then we have sunny days but never hot enough to leave home without a light coat. Both of these days could take a turn and become scorching or freezing at any moment. To top it off these days happen year round for the Bay.. and for most of the year it was perfect blue skies that is sunny with a breeze..
Last year for my birthday we flew into Chicago and drove through Indiana to spend time in Cincinnati.. In fact if you click >>THIS<< you can see the vlog from that bday trip. I got my first taste of a real fall season and it was really #SWEATERWEATHER.. So now I am going to show you what OOTD’s I have taken that look good for fall. My “FALL WARDROBE ALREADIES”… and I will follow up with a few “FALL WARDROBE NEWBIES”! A chic plaid tunic with denim trim is perfect with cognac over the knee boots and a tan puffer coat for the fall days it gets chilly.. I get that farmhouse cute vibe here! I used a velvet button up blouse as my light “jacket” over an all black basics (leggings and cami tank) and to spruce it up I threw on black booties with gold details.. I love the vampy feel of the velvet and what is more fall than vampy! I love a tshirt dress and truly think they are the perfect item for the spring-fall seasons and this one being black and white stripes gives off a Halloween look.. and of course I love my sneakers all year round! All I need is a cute leatherette jacket to keep me warm. I loved this lined sweater/jacket because it was warm but not sweaty and I would take it and throw it over a tshirt like in the pic and it looks great. Layering is something that helps with the temp difference from summer to fall. This photo I took a long striped lightweight button up tank and put a light knit sweater over it to give it that preppy business casual look. Also the jacket is a fleece peacoat because a traditional peacoat made of wool is just a bit to heavy for me. I sweat easily! I adore pink in the fall for two reasons.. 1. My birthday is in October and my fave color has always been pink especially being that one of my birthstones is rose quartz.. 2. October is Breast Cancer Awareness month (pink ribbons) and this specific form of cancer has impacted my family including my mom and I typically try to wear pink almost everyday in October! In this photo I am wearing leggings but a beautiful floral print with pink… again I threw on a great jacket this pink leatherette jacket and black tshirt! Throughout the whole year sweatshirts or jumpers and tshirts are huge part of my wardrobe but when it comes to fall and winter I normally go ham and stock up! I have sweatshirts that I make on >>Customized Girl<< and this one was for Gen Beauty by Ipsy in SF with my IG/Twitter on it.. So cute and of course it has pink! I love food printed on everything (going to post a blog about all the food items I have) this french fry crew neck is amazing! Who doesn’t love Selena first of all and if I can find more tshirts with her on it best believe she will become my uniform for life! I know over the knee boots, Ugg’s, and sneakers are the typical fall staple shoes but am I crazy for wanting to wear my fuzzy sandals (yes I wear them with amazing socks!!) all year round.. okay maybe not during the snow time but how would I know since I have yet to experience living in snow! And there you have some of my past OOTD’s that I consider good looks for the fall I.. my “ALREADIES” << is this a new word lol! I hope y’all enjoyed this and I can’t wait to show you some “NEWBIES” for fall when they start to arrive. Are there any stores you would like to see me try out? I love you guys so much and thank you reading! I am not good at holding to my NYR’s so I don’t really ever list them to myself. For 2016 I had a NYR to gain more experiences and boy oh boy did I ever fulfill that NYR to my heart’s content. From Mardi Gras to a road trip through the midwest my year was full of excitement and new experiences. Even though this year was full of downers it was a balanced year full of uppers so I am willing to state and try for NYR’s of 2017. The problem with NYR’s is that if you fail to meet your own high expectations you set the year off on a bad note. So to avoid any anxiety or depression that will stem from failing myself with things such as lose weight, get pregnant and so on.. I am taking the non serious route.. Nothing that will seem life altering and if I don’t succeed this year I may not want to give up on life. Use EBATEs more to shop online- Ebates is an app for you phone or computer that allows you earn back money when you shop online. I figure why not if I am such and avid online shopper.. It would only give me something back in return. Also Ebates is really good at letting you see coupon codes and discounts for stores when available as well. Try a gel manicure- I always get acrylic on my nails and I love them so much but it is hard to type accurately and I have two jobs that I need to constantly type with. I have been wanting to try the gel or shellac manicure for a while but two issues do come to mind… 1. my stubby little fingers get help in elongation from the acrylic nails and 2. the acrylic nails last 2 weeks sometimes longer and I am hoping that the I will not need to do a manicure every week.. I am willing to give it a fair shot of at least a month or two and if not I will simply go back to acrylics! Alcatraz- yes I am from SF but no I have never been!! Taste the Pancake Souflee- I posted a blog all about food on the west coast that I want to try and yes I want to try all of them but if I only get to one this year it must be Bette’s Diner in Berkley! There you have it my 5 resolutions to attempt this year.. sure they are minimal and yes there is many more things I could include but again why set myself or my year up for failure. More than anything I just want to work hard and enjoy my life and give my loved ones the best everyday! Hi guys.. I know I have been gone again but there are many changes happening here so I decided to take a break until next year. Which is only about 3 weeks away…… where did the time go?? But I could not leave this year without posting a XMAS Wish List it is my favorite time of the year and my favorite list to make. Of course I am not expecting all of this or any of this… it is nothing but a list of wants. Thank you “interweb” for the pics and links. Well there you have it… my last wish list of the year… I want to wish you all a very Merry Christmas and or Happy Holidays. I am already working on content for next year as so many changes are in front of my family and I. 2016 has been quite the roller coaster and I am happy it has come to end.. I can only hope that it finishes on a good note and leads off 2017 to a great fantastic year for all of us. I will see you next year but I will be praying for all always!